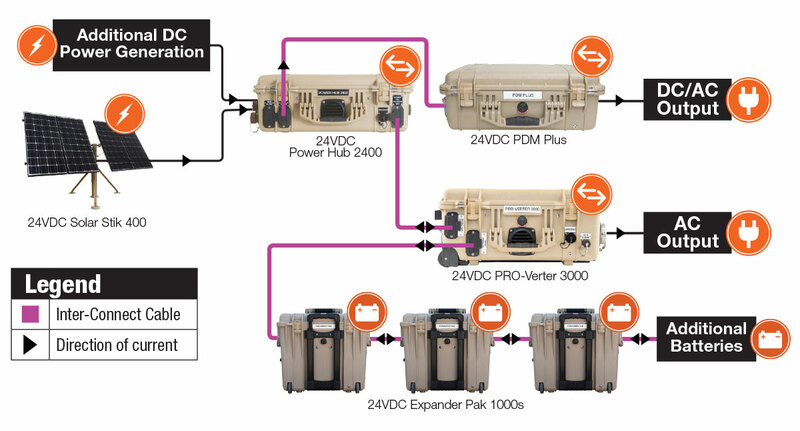 In mobile or remote applications, portable power systems are preferred over traditional power supply systems (grid), because they bypass the infrastructure requirement. Challenges facing the traditional paradigm are what have led to a new age in alternative portable power solutions, including the Solar Stik System. There is a seismic shift toward hybrid, renewable, and other portable power products, and they are fast becoming part of the mainstream. Each product in a Solar Stik portable power system is designed to be used in conjunction with other product categories within the System.  Each category has components that can serve only one function (such as a battery) or that can serve multiple functions (such as a power manager). The graphic shows the relationship between the categories and how they work together based on their role in a System. There are four general categories of components represented in the power models used by Solar Stik. Sources can include solar, wind, fuel-driven generator, fuel cell, vehicle, or water energy. Energy is stored in rechargeable batteries such as lead-acid or LiFePO4. This can include AC and DC sources, distribution, and line conditioning. A load includes any appliance that uses power, such as lighting or refrigeration. A consolidated, or closed-loop, power model is characterized by its ability to operate as an “island”, independent from grid power. It can include, but is not limited to, one generation source, one energy storage component (battery bank), and one power management device. It is critical to have a balance between all components in a closed-loop electrical system. Striking this balance means knowing the total requirements of the following: power consumption, power generation, and energy storage. In a distributed power model, multiple stations can function in concert, but still in a closed-loop configuration when conditions warrant. Power is generated from multiple sources, including the grid and prime power sources. 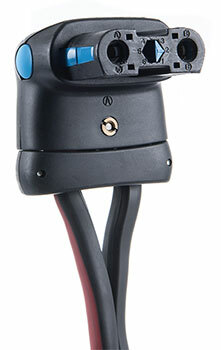 In the example below, two PRO-Verter 5000s are used with a common battery bank. One PRO-Verter is connected to a fuel-driven generator while the other is connected to an AC grid power source. In an uninterruptible power supply (UPS) power model, a bank of batteries is charged with power from an AC source, such as the grid, or other primary power generation source. The energy stored in the batteries can be used to power loads in the event that grid or generator power becomes unavailable. 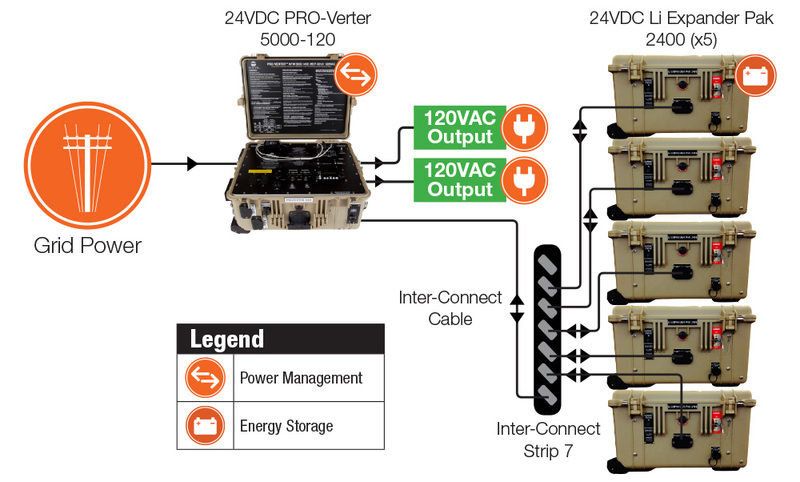 Components from each of the categories in a Solar Stik System are connected via Inter-Connect Cables and Inter-Connect Strips. The Inter-Connect System allows the System components to coordinate their functions, providing seamless operation for the application. This DC bus connection is a feature unique to the Solar Stik System. Voltage is communicated through the common bus to all points in the network. Because the Inter-Connect is a voltage-based operational system, even if the cables are connected incorrectly, the System will still function—but at a reduced level—without damaging individual components. 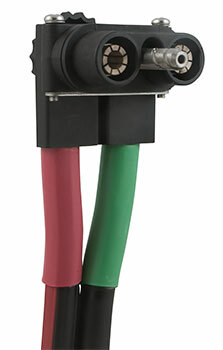 The Inter-Connect plugs on each end are polarized to ensure proper orientation. Plugs specific to each of the 12 VDC and 24 VDC Systems ensure that only compatible components can be integrated into a System. The 24VDC Inter-Connect Strip 7 is a tool for expanding the energy storage capacity of a 24 VDC System. It is a common bus for connecting up to seven components. 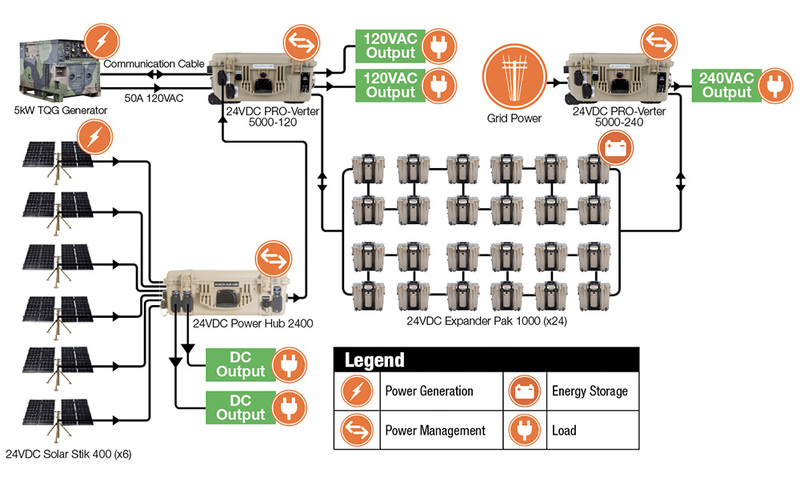 For example, one to six 24 VDC energy storage modules can be connected in parallel as a battery bank, which can then be connected to a power management component such as a PRO-Verter. The Inter-Connect System promotes safety within the circuit by minimizing the potential for a reverse-polarity connection. It protects from overloads and short circuits with a network of breakers placed strategically throughout the circuit. If a problem occurs in a leg of the Inter-Connect circuit, then the affected leg will automatically disconnect from the primary network, leaving the other circuits functioning. If a major failure occurs in the circuit, then the entire network will shut down. Operators who use Solar Stik Systems might have limited experience using battery-based electrical circuits. The Inter-Connect System’s Plug & Play connectors allow for rapid setup, modification, and configuration of system architecture, and serve as the electrical skeleton within the system’s architecture.